If you’re looking for an evening filled with magic, Disney World is definitely the place you need to be. That said, you don’t have to go into the parks to find that magic. In fact, there are quite a few amazing places to go on property where admission doesn’t cost a dime and you can have an incredible time. 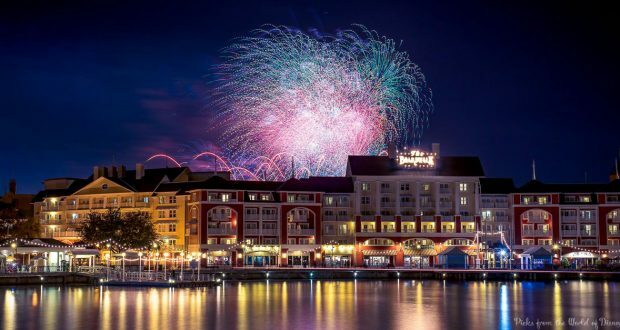 Of these, one of our absolute favorites is Disney’s Boardwalk. This place is a bustling hub of fun just waiting for you to come enjoy it. Why not check it out on your next trip? Here’s everything you need to know to spend a perfect evening on the Boardwalk. The best evenings begin with delicious food. Luckily, the Boardwalk has plenty of delicious food to go around. Fish fans will adore The Flying Fish, where they’ll be required to dress their Sunday best in order to enjoy their meal in the upscale dining room. 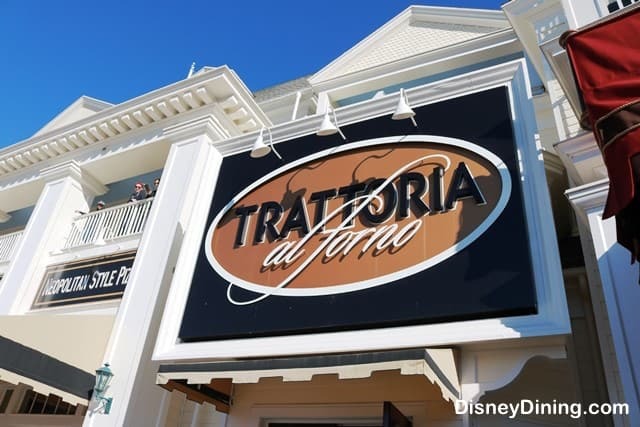 Meanwhile, those who are looking for a more laid-back experience might appreciate the Italian food and friendly atmosphere at Trattoria Al Forno. No matter where you end up eating, be sure to stop by Boardwalk Bakery for a decadent dessert after your meal! Next up, drinks all around! 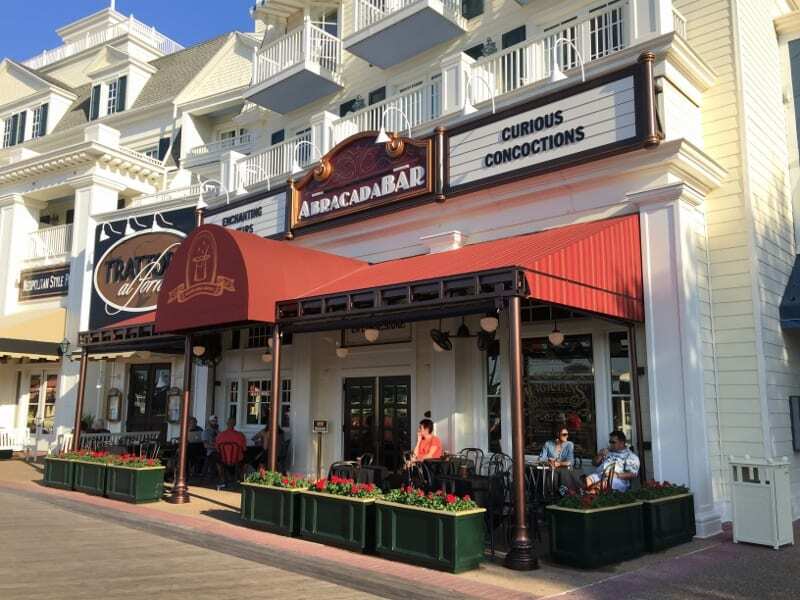 Disney’s Boardwalk is home to several fabulous bars, and that means having a few drinks is an absolute must. Our favorite of these establishments is Abracadabar. Here, guests can enjoy fun themed cocktails (such as the “Magic Mirror”) in a fairytale-esque, Victorian-style environment. Other favorite Boardwalk bars include Hurricane Hanna’s and Shula’s Lounge. Of course, a boardwalk wouldn’t be a boardwalk without some old fashioned boardwalk games. Fortunately, Disney’s Boardwalk has this handled just fine. With classic favorites such as skeeball and a shooting gallery, seaside game lovers will be in heaven. Another important aspect of the boardwalk feel are its street performers. Once again, Disney nails it by filling their Boardwalk with all kinds of entertainment. 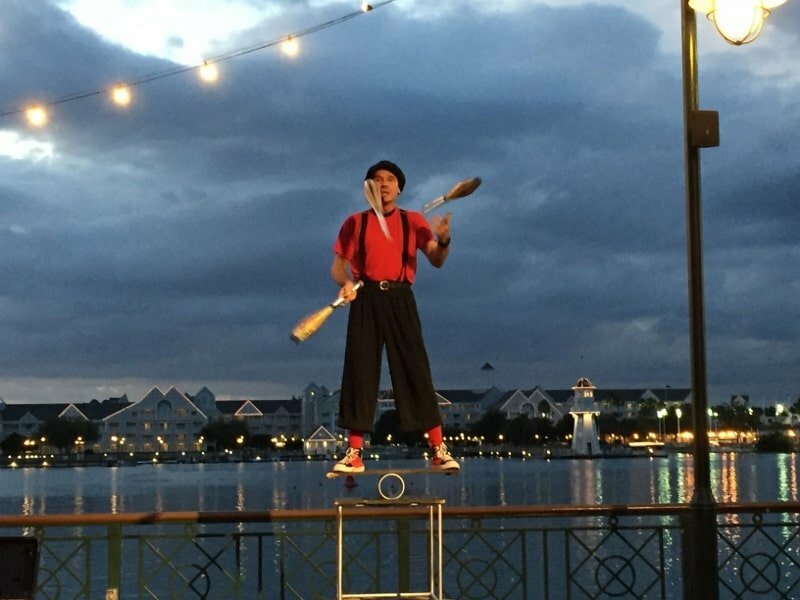 On evenings Thursday through Sunday, you can enjoy juggling, balancing acts, and wonderful musicians up and down the Boardwalk all evening long. Want to do some dancing? Lucky for you, there’s the Atlantic Dance Hall. This fun hangout offers good ‘80s and ‘90s music, an amazing dance floor, a bar, and even a big screen. It’s open nightly from Tuesday through Saturday and offers the perfect opportunity to dance the night away. While guests do have to be 21 or older to enter, there is no cover charge, something that adds to the appeal of the place. While you’re strolling along the Boardwalk, keep an eye out for the little photo booths. These are completely free to use if you happen to have Memory Maker, and they can be a ton of fun. Take some silly-face photos and some serious ones. Pull your friends and family in and enjoy some giggles together. 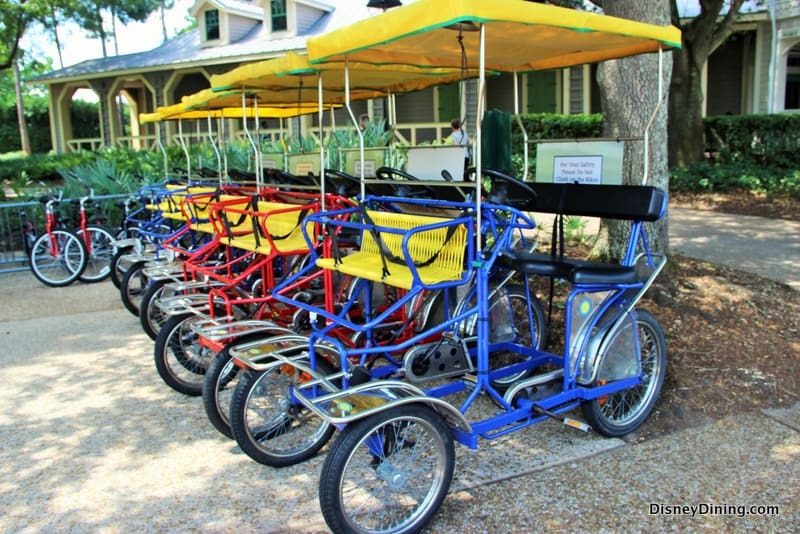 Many of Disney’s resort hotels offer the option of renting a surrey bicycle. You’ve probably seen them riding around from time to time. It seems the Boardwalk wanted in on this action, because guests can also rent these super fun little contraptions while there. This is one of those things that you’ll want to be sure to experience at some point in your life, and a lovely evening on the Boardwalk is the perfect time to do it. Grab someone you love and hop aboard. You’re going to have a blast! Finally, if you’re looking for a perfect ending to this perfect evening, stop and enjoy Epcot’s “IllumiNations: Reflections of Earth” nighttime spectacular. While you won’t get the up-close-and-personal view you would get in the park, you will get a less crowded experience, and stepping back and viewing the show from afar can actually give you a nice new perspective. Besides, the fact that you won’t have to head back to your car or a resort bus immediately after the show ends is a major bonus. Go ahead and head to that bar or dance hall after the show—they don’t close for quite some time! As you can see, there is more than enough fun and adventure to fill an evening on Disney’s Boardwalk. Go ahead and set aside one night to see it. You won’t regret it for a minute, and you’re sure to leave with some fond new memories.